Podcast Episode 30 now online! Episode 30 of Joe's Tango Podcast is now online! 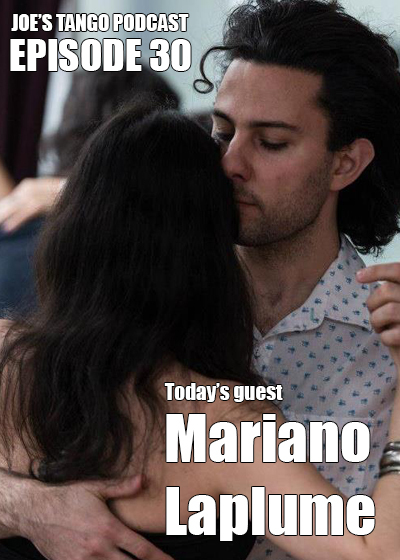 In this episode, we'll meet Mariano Laplume, a world renown tango instructor and violinist. This is another fun interview, and you can listen for free on iTunes, Soundcloud, or Stitcher. It would mean a lot if you could take a few seconds to subscribe, give it a 5-star rating, and a positive review (on any or all of the above mentioned sites). This makes it easier for new listeners discover the podcast. Thanks!